Discovered by: W. Scheele and Joseph Priestly independent of each other. Oxygen is a vital element for all the living things on Earth. Almost all the living things need the oxygen to survive and stay alive (except few). Oxygen has transformed our Earth from deserted planet to a green planet. It is the most abundant element in the human body and 3rd most abundant element in the universe. Oxygen is a diatomic, colorless, and odorless gas under normal conditions. Oxygen is a reactive gas, it easily reacts with iron and other metals to make them rusty. It can dissolve in the water easily. Marine life is dependent on the dissolved oxygen in the water. It is used by NASA in the rockets to efficiently burn the fuel. It is used for breathing underwater and in space. Hospitals use oxygen tanks to supply oxygen to the patients. It is used in the production of plastics, water filtration, and extraction of metal from their ores. As you know, oxygen is freely available in the atmosphere that we breathe. Our atmosphere contains about 21% oxygen. The upper atmosphere has a layer of ozone (triatomic oxygen) that protect us from cancer causing rays of the Sun. 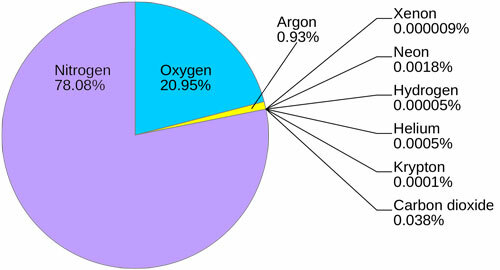 Besides the atmosphere, oxygen is the major constituent of water by weight. All the water you see in the oceans and the water that you drink is made of hydrogen and oxygen (H2O). So is that over? No! The sand that you walk on is compound called silicon dioxide. 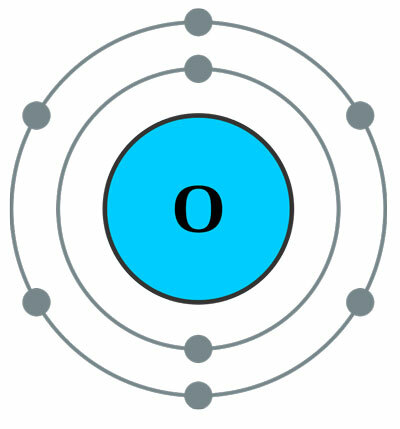 It has oxygen as a major constituent by the number of atoms. So that means, we humans are breathing-in, stepping-on, and drinking the oxygen and its compounds from our beginning. Wow! What a miraculous element. Oxygen was known to man from early time because human have been breathing oxygen and burning fire for food and heat. But, it was considered as a separate element when C.W. Scheele discovered a gas that increased the burning rate of fire. He named this gas “Fire air” due to increased burning of fire. But, Scheele was unable to publish research. Another British scientist named Joseph Priestley discovered the oxygen independently, without knowing about the Scheele’s discovery. Our Earth has the highest percentage of oxygen in the solar system. The most abundant element in our body is oxygen. The main oxygen producers are plants. They produce oxygen in a process called photosynthesis. Abdul Wahab, "Oxygen," in Science4Fun, April 13, 2019, http://science4fun.info/oxygen/.